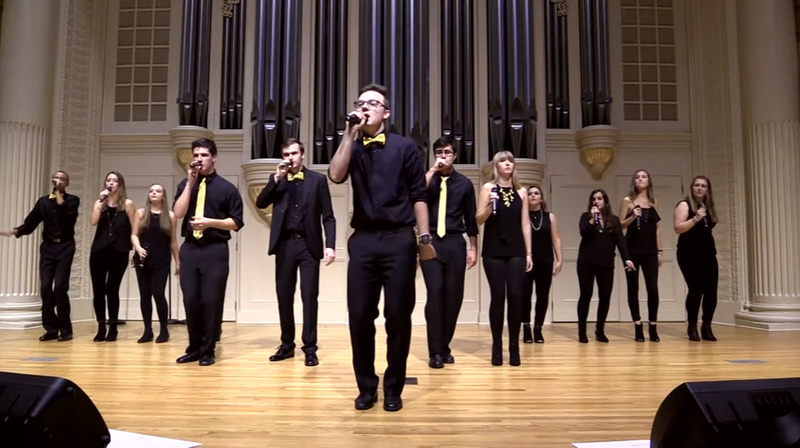 A cappella music is so much more than a simple melodic line delivered by a singer, it's each artistic element concocted by the musician to share an unforgettable performance. It's about every nuance that your standard instrument can't connect you to. And so much of this is on display in this cover of "G Train" by Elon University's Vital Signs. The soul of Thirdstory's hit single is wonderfully captured by the Vital Signs from the stomps and claps of the song's opening, to the lush layering throughout. This cover is truly an artistic movement that will leave you breathless.